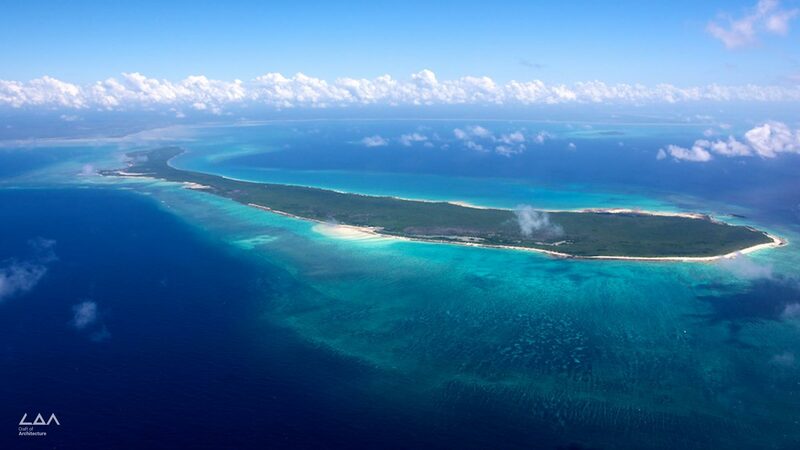 Vamizi Island is set among the Quirimbas Archipelago, is a estate guideline located in a marine conservation area off the coast of Northern Mozambique. COA was appointed after participating in a limited design competition involving a Vamizi design manual which defined the “Vamizi Aesthetic”. Vamizi architecture reflects the multi-cultural history of Mozambique with it’s African, Portuguese and Arabic influence, playing an integral part in sculpturing the architectural elements within the designs. A ‘Pavilion’ type methodology is used to avoid existing trees and natural features of the natural ventilation. with the many cultural influences affecting the aesthetic it is intended that solid passive design principles from he backbone of the buildings combined with the sustainable material of the local environment to create an architecture that in unique to the Vamizi Island. As there are no services on the island all these needed to be provided, requiring each villa to be fully sustainable and off the grid. This was achieved through the creation of central ‘service’ hubs that utilized solar water harvesting, desalination of sea water amongst many other sustainable methods.